Quantum dot manufacturer Nanosys was at SID DisplayWeek speaking about quantum dots in the Business Conference, presenting papers in the symposium session and showcasing its technology on the exhibit floor while also revealing some future innovation in backroom discussions. In all, the take away is that quantum dots hold great promise to provide a range of new innovations for displays in the coming years. Most of the quantum dots that Nanosys makes today are Cd-based. These go into films produced by 3M that have shown up in TVs to date. At last year’s SID, Nanosys introduced a hybrid quantum dot solution call Hyperion which uses Cd-based green and a Cd-free red quantum dots to meet the RoHS requirements for heavy metals. This trend toward Cd-free will continue, so the company is mostly focused on these formulations going forward. At SID this year, the company showed a modified Hisense TV that contains the new Hyperion quantum dots embedded in a film produced by Hitachi Chemical. 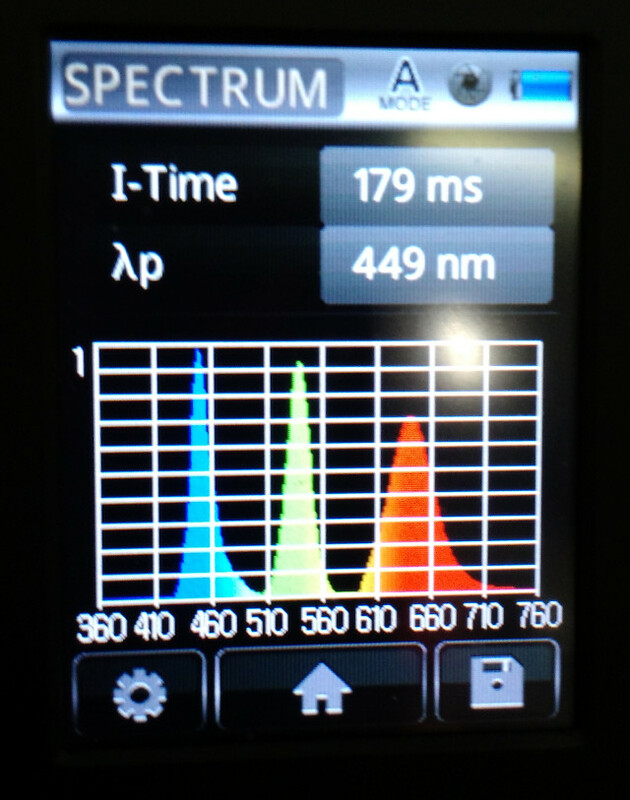 The “photo-enhanced” type of QD display has a spectral performance that is quite good with the green having a Full Width Half Max (FWHM) of 25 nm at 520 nm and less than 40 nm for the red at 644 nm. When coupled with the blue light at 450 nm with a FWHM of 20 nm, a display should be able to achieve 94% area coverage of the BT.2020 color gamut. Hitachi Chemical plans to go to mass production with this film in the second half of 2017, so expect TVs in the market in 2018. The next step for quantum dots is likely to be their placement in the color filter of an LCD. Called “photo-emissive” by Nanosys, this means the light from blue backlight will pass through the LCD panel and all the way to the color filters before color conversion. 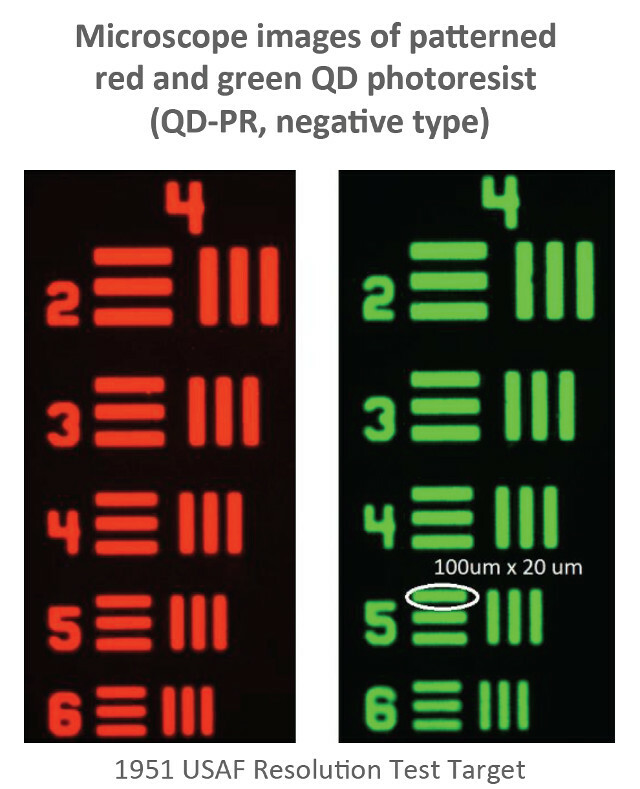 The big advantage of placing the quantum dots here is a huge increase in optical efficiency as the RGB filter are not discarding two-thirds of the light even with a QD film solution. 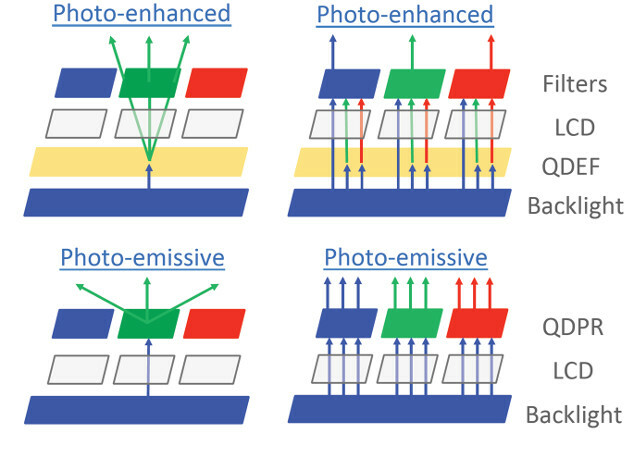 Such an advantage may be used to make more power efficient TVs with the same brightness or ones with tons of overhead in terms of peak luminance. The other major advantage is a more Lambertian light distribution from the LCD display – one of the weak points of today’s LCDs. And, with the elimination of the cross talk in conventional color filters, the QD-in-color filter approach enables a color gamut of 90% of BT.2020 with Cd-free materials. The placement of the quantum dots in the color filters raises two challenging issues, however. For one, the second polarizer, which is normally after the color filter, needs to be moved inside the LCD cell because the quantum dots depolarize the light. Panel and TV makers are working on this solution now. The other issue is quantum dot design and the manufacturing process. For the design, you want to be sure your quantum dots have extremely high absorption in a very thin layer so as not to have blue light leakage in the red and green sub-pixels. Nanosys says they have now met that challenge. Next, one has to decide about the color filter plus QD manufacturing process. One approach is to use photoresist embedded with quantum dots, but this a subtractive process so perhaps too costly for mass adoption when embedded with the expensive quantum dots – but maybe not for mciroLEDs. 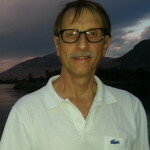 Alternatively, one can consider an ink printing process that is additive and more appropriate for direct-view displays. The key question here is can you define sub-pixel structures that meet the performance and manufacturing requirements? Here again, Nanosys, working with partners, claims to be solving this problem. In their back room, they showed images of 180 x 580 micron printed color filters with embedded quantum dots and a 5 micron thickness that is now very close to meeting manufacturer requirements (there is still some slight blue leakage in the red channel). Ink jet printers with 10 heads are ready and customers are now evaluating this process. As a result, it seems likely that we will see demonstration of TVs with QD color filters at CES 2018 – and maybe even TVs in the market by the end of 2018. Beyond this, Nanosys is working to develop quantum dots and processes that allow their direct use on standard LEDs and on microLEDs. 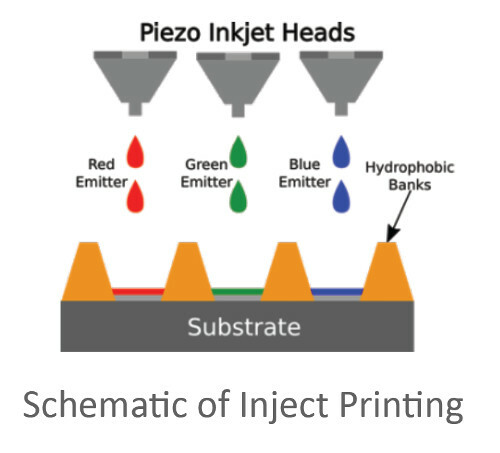 Current ink jet printing processes may be acceptable for conventional LEDs, but for microLEDs where the pixel pitch will be 10 microns or smaller, new methods of deposition are needed. Finally, Nanosys and others are working on electroluminescent quantum dot technology. While all the above configurations activate the quantum dots with higher energy light, electroluminescent quantum dots use current and electrons to stimulate light emission in much the same way that OLEDs do. Most think such displays will not be commercially viable until 2020 or 2021. So, there are many exciting new ways for quantum dots to be used in displays and it is still early days. While other wide color gamut solutions like OLEDs and phosphors can achieve DCI-P3 color gamuts, most believe they will be hard press to get to BT.2020 color gamut coverage – something quantum dots should excel at.